This is a fashion post with heart; I want to dedicate it to my friend Izzy, one of the most inspirational women I know. Not only is she an amazing business woman, she is wholeheartedly dedicated to protecting animal welfare in both her business and personal life. Let me introduce you to her label, Izzy Lane, dedicated to giving animals a voice in the fashion industry. But before I get to that, let me give you a little bit of a background to our friendship. I first met Izzy through Chris (my Mister), as she is Aunty to Oliver, one of his best friends. Chris and Oli often talked about Izzy as they used to stay with her in the South of France when she would holiday there and they'd come back with amazing stories about the places they had stayed and the wonderful friends of hers they'd been fortunate to meet whilst there. I have her to thank for my love affair with the South of France, as if she'd never introduced Chris to it, I don't think I'd ever have got to go there and love it so much. Izzy is wonderful in every way; she is an exceptional business woman, an animal rights activist, a dedicated vegetarian, a creative, an entrepreneur, a songwriter, a fellow Francophile and quite possibly one of the nicest and most supportive people I have ever had the pleasure of being friends with. One of the things I find most admirable and appealing about her is her dedication to animals. I like to think of myself as an animal lover; I always try to fundraise for my local animal rescue centre (plus I have Jay-Jay, my little rescue dog who is also very fond of Izzy!) and to be kind to animals where I can-but I'm not perfect-I eat meat and I wear leather-so I suppose I could be considered a bit of a hypocrite. I'd never hurt an animal though and I try to do what I can, when I can for them. Izzy however, dedicates her whole life to giving animals a voice, and her fashion label ticks all of the boxes when it comes to sustainability and ethical fashion as a result of this. So let me tell you about this wonderful label. 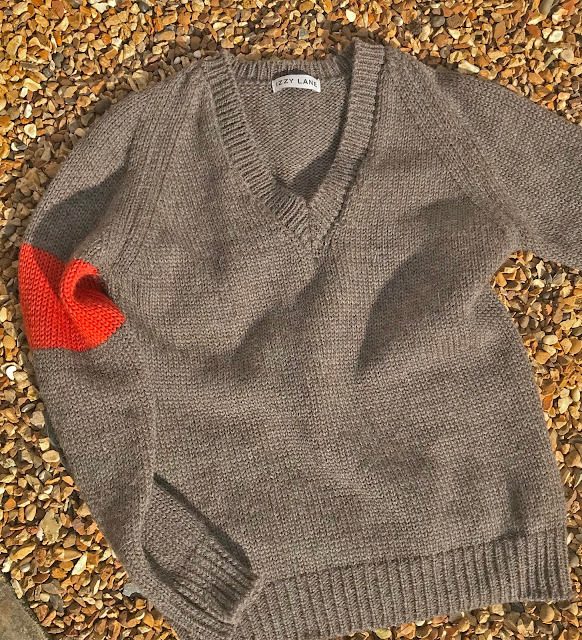 Izzy wanted to set up a fashion label which used British ethically sourced wool but found that much of the wool used in fashion on the high-street was imported from abroad (with the animals being poorly treated in most cases). 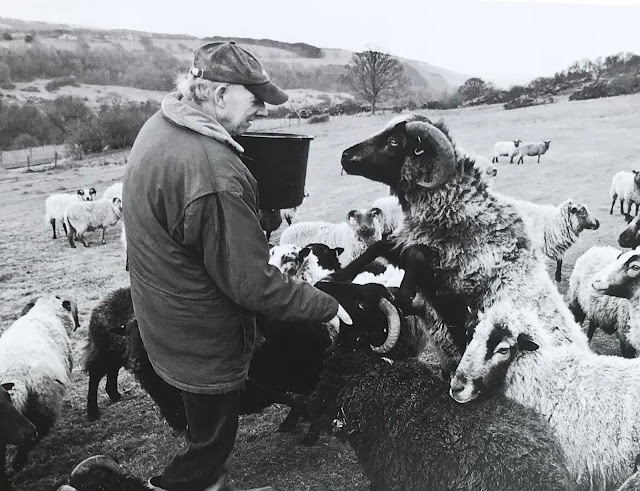 With her love of animals and her vegetarianism at the forefront of her mind, she decided to put together her own flock of rescue sheep, bought at market prices, to ensure that the sheep could live out their lives happily; their wool would be sheared from them but they would not be slaughtered. Focusing on Shetlands and Wensleydale's for the quality of their wool, she soon had a flock of six-hundred. Once she had the sheep, she then needed a chain of processors to make the garments, but with the fall of the British textile industry, sourcing the correct people and places to create items proved difficult. Eventually sourcing the right spinners and button makers, Izzy Lane was launched in 2007 with a view to both help save the British textile industry and to give animals a voice in fashion and has since gone on to win numerous awards whilst spreading awareness and campaigning for animal rights throughout it's growth. The sheep are absolutely gorgeous too; I've visited one of the fields in Richmond where they're kept and they are the cutest! Izzy was kind enough to gift both Chris and I with a sweater of our choice from her Izzy Lane Collection. I chose the sweater that is pictured (above) made from the wool of Izzy's Shetland sheep. According to the care instructions (included) the yarn has been scoured, blended, combed and spun but not dyed (other than the orange hoop on the sleeve); the colour is the pure colour of the Shetland's wool. The quality of it is amazing, and it's so warm; it's been perfect for the super-cold weather we've been experiencing here in the north of England. 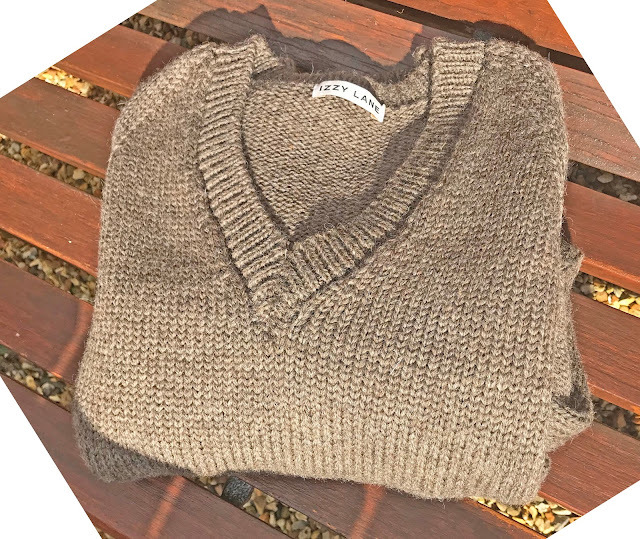 I absolutely love it-particularly as it has such a great story behind it and I can wear it safe in the knowledge that no sheep were harmed during it's creation. Thanks Izzy for your friendship, kindness and for loving animals so much-we absolutely adore you for it, you're a true inspiration! If you want to learn more about Izzy Lane, you can read more about the label here or shop the latest collection online here. My sweater can be found here.